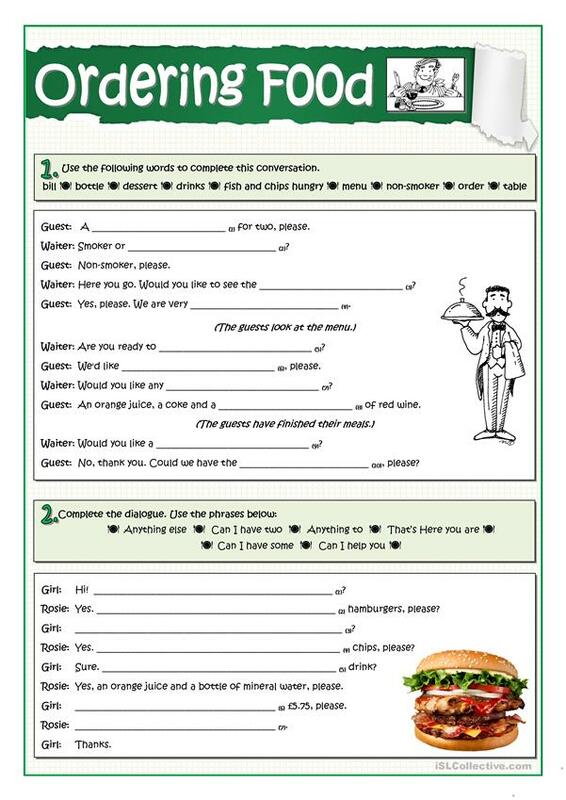 Students use some words related to meals and restauants to complete these conversations. I have used them as samples to prepare a speaking exam about the topic. The above downloadable teaching material is best suited for high school students and elementary school students at Elementary (A1) and Pre-intermediate (A2) level. It is a useful material for practising Questions in English, and is useful for enhancing your pupils' Speaking and Reading skills. It centers around the vocabulary topic of Food.